Breaking News – What’s the Big Scoop on Eating Ice Cream in July?! Holy Frozen Cow! The crew here at the Storage Inn has just been informed that July is National Ice Cream Month. This made us all so happy that we jumped for joy and decided to share our ice cream enthusiasm with everyone! Now, as a nation, we all have a great reason to curb our diets and celebrate with ice cream! How did this amazing discovery come about you ask? Well, as the manager at the Storage Inn of Egg Harbor Township, I have the wonderful opportunity to speak with so many storage rental customers everyday. Today I was having a conversation with one of our tenants, Mr Giordano. I’ve always known that Mr. Giordano is a teacher because he stores his extra classroom items in a storage unit all summer long. But! it turns out that he also has a very delightful summer job. He’s an ice cream man! That’s right! – During the hot summer months you can find Mr. Giordano cruising around your neighborhood in that big white truck that plays the music you can hear from 5 blocks away! In 1984, President Ronald Reagan designated July as National Ice Cream Month and the third Sunday of the month as National Ice Cream Day. He recognized ice cream as a fun and nutritious food that is enjoyed by over 90 percent of the nation’s population. The waffle cone was created at the 1904 World’s Fair in St. Louis when Abe Doumar, a traveling salesman, encouraged an ice cream vendor to serve their ice cream on rolled waffles made by another nearby vendor when they ran out of paper dishes. The first known ice cream recipe was handwritten in the recipe book of Lady Anne Fanshawe in 1665, and it was flavored with orange flower water, mace, or ambergris – an intestinal fluid from sperm whales. Vanilla ice cream may be the default flavor today, but it was quite exotic and rare in the late 1700’s, as vanilla was difficult to acquire before the mid-19th century. 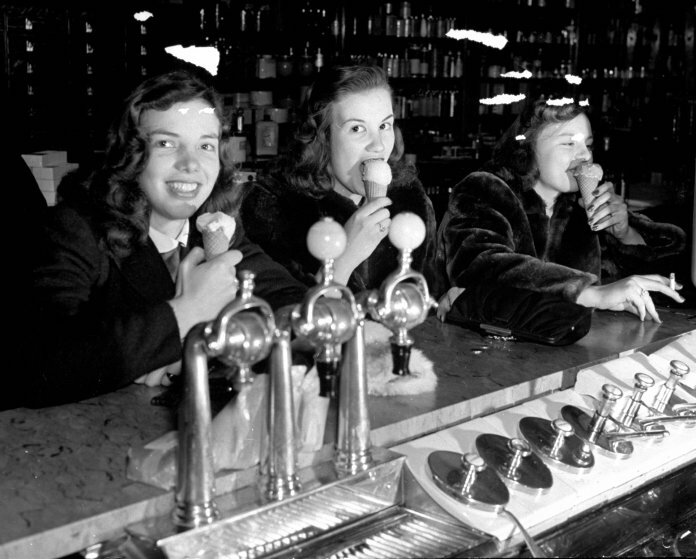 Many ice cream flavors popular in the colonial era in the United States are still mainstays – vanilla, strawberry, pistachio, coffee – but others, like oyster, parmesan, and asparagus – didn’t have staying power. The Häagen-Dazs brand was established by two Americans – Reuben and Rose Mattus – and the name was made up to sound Danish and sophisticated. Ben & Jerry’s was the first company to sell chocolate chip cookie dough ice cream in 1991, and the flavor was created based on an anonymous suggestion on a board in their Burlington, Vt., shop. Food photographers frequently use modified mashed potatoes as a stand-in for actual ice cream in photos. “Brain Freeze” happens because the nerve endings on the roof of your mouth are not used to being cold, and they send a message to your brain signaling a loss of body heat. Apple pie a la mode was invented at the Cambridge Hotel in New York when a customer named Professor Charles Watson Townshend regularly ordered ice cream with his apple pie. Another diner, Berry Hall, coined the dish’s name. Ben & Jerry’s ice cream flavors are full of chunky mix-ins in part because co-founder Ben Cohen has no sense of scent, and a lot of his pleasure in ice cream comes from its texture. Dreyer’s and Edy’s are the same brand, but the latter name is used in the East and Midwestern United States, and the former is used in the West and Texas. Hawaiian Punch was originally created and marketed as a syrup intended as an ice cream topping, but it became more popular mixed with water as a drink. Professional ice cream taste-testers use special gold spoons which allow the tester to taste the product with virtually no trace of flavor left over from what was last on the spoon. Blue Bell Creamery and Dreyer’s/Edy’s both claim to have invented cookies and cream ice cream, and there is no substantial proof as to which brand was actually first. The earliest versions of Neapolitan ice cream were made of green pistachio, white vanilla, and red cherry ice cream and was made to resemble the Italian flag. So, there you have it, a few things that you might not have known about America’s favorite frozen treat! Breaking News – The Big Scoop! The Storage Inn investigates the history of the American Hot Dog! It’s Mid-July here at The Storage Inn self storage in Egg Harbor Township, New Jersey, and It’s been very busy with customers running to and from their storage spaces. Most are retrieving summer items such as barbecue grills, lawn chairs, bicycles and even surfboards. Just today, one of our storage customers, Carl, stopped in the office for a complimentary bottle of cold spring water, and was proud to announce to us that he had just purchased 200 hot dogs for his annual Hot Dog and Beer Barbecue party! 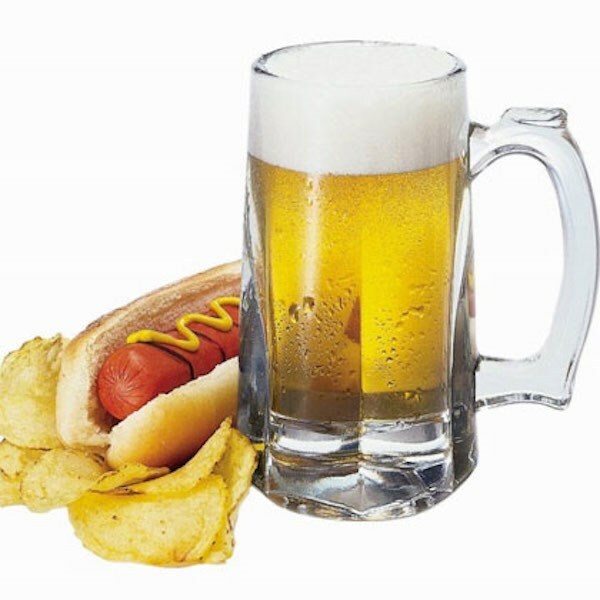 “Wow – a hot dog and beer party – sounds like fun! “ I said. “Yeah, we do it every year. We supply the hot dogs and beer, and all of our friends bring a side dish or anything else they wanna eat or drink. Always a great time!” Carl replied. “Did we invent hot dogs? “ I pondered. I decided to do some digging, and here’s what I found. 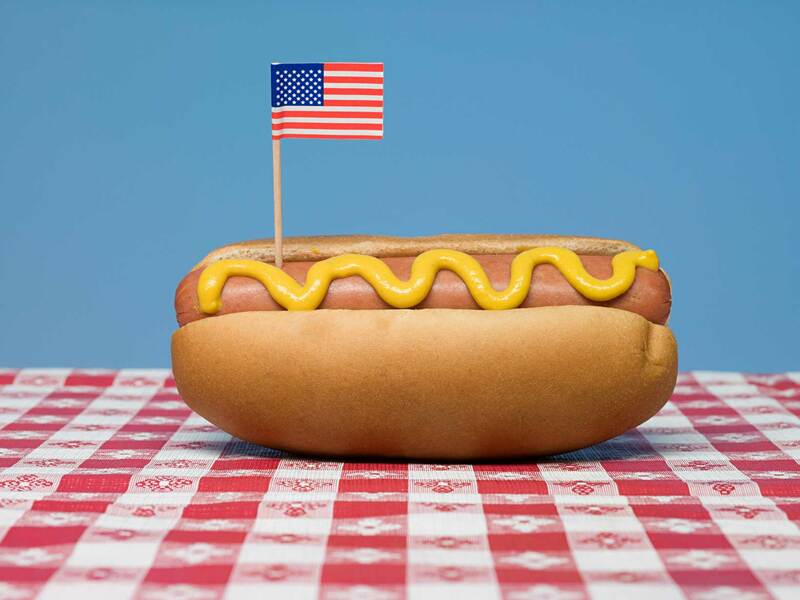 Between Memorial Day and Labor Day, Americans consume seven billion hot dogs! The most popular condiment is mustard. Then come onions, chili, ketchup, relish, and sauerkraut. Nathan Handwerker opened Nathan’s Famous Hot Dogs (which remains a Coney Island institution) in 1916. To counteract the stories of unhealthy ingredients in hot dogs, Handwerker hired men to wear surgeon’s smocks and eat lunch in his restaurants. The largest seller of hot dogs is 7-Eleven, with 100 million served annually. A “Chicago-style” hot dog never includes ketchup. According to Guinness, the most expensive hot dogs ever were 3/4-pound, 18-inch dogs sold for charity in 2012 at a Sacramento, California, restaurant. Topped with an impressive array of fancy condiments—moose milk cheese, maple-syrup bacon, organic baby greens, whole-grain mustard, and cranberries—the dogs cost $145.49 each, with proceeds donated to a children’s hospital. 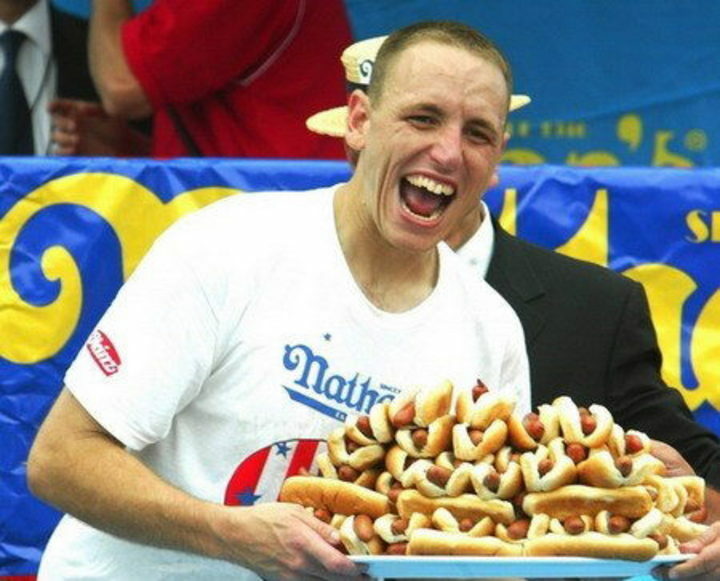 The most hot dogs (with buns) consumed by one person in 10 minutes: 72 – Joey Chestnut holds the record set July 4th, 2017. In the 1880s or ’90s, frankfurters (from Germany) and wieners (from Austria) became known as “hot dogs”—possibly because of the sausages’ similarities to dachshunds . So, there you have it – a little hot dog history! I never know what I’m going to learn talking to our customers here at The Storage Inn. Well, I’ve got to go – I have a sudden craving for a chili cheese dog and an ice cold beer! 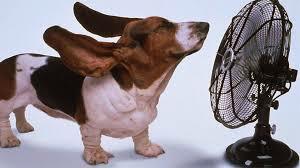 Tips for keeping your pet safe and cool this summer. The July heat is on here at The Storage Inn of Egg Harbor Township New Jersey, but it doesn’t seem to slow down our self storage tenants. They just keep motoring to and from their storage spaces like the Energizer Bunny, stopping into our rental office every once in awhile for a complimentary bottle of ice cold spring water. Today I had a visit from one of our tenants, Sergeant DiPiano – he’s a K-9 Officer, and always has his dog, Trooper, in the back of his vehicle. I asked him how Trooper handles the heat. “No problem “ he answered “ He loves the AC! “ – “I do end up rescuing a couple of dogs from cars each summer”, he added. “I just wish people would realize how dangerous the heat is for their dogs!”. Right about then he said he had something for me and headed out to his cruiser. He came back and handed me a stack of pamphlets entitled “6 Ways To Protect Your Dog From Summer Heat”. Here are those tips courtesy of Sergeant DiPiano. 2. Giving your dog a lightweight summer haircut can help prevent overheating, but never shave to the skin. 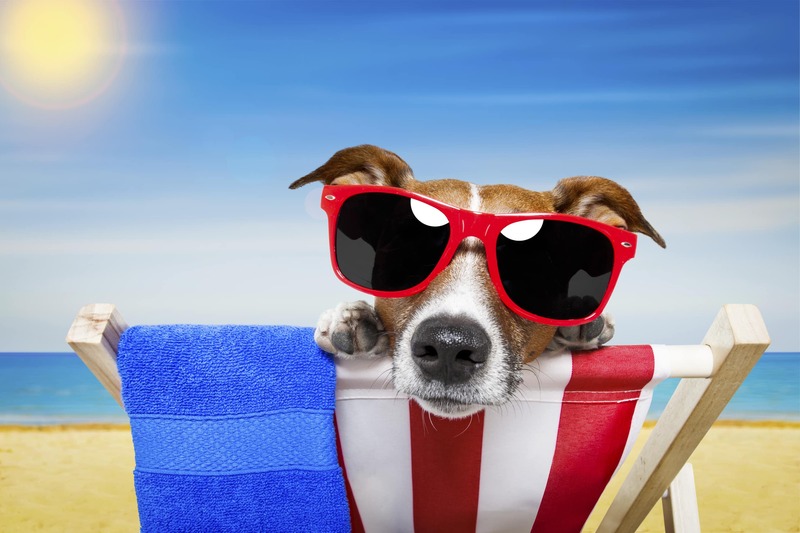 Dogs need one inch of protection to avoid getting sunburned. 5. Many dogs enjoy a swim, splashing in a wading pool, or a run through a sprinkler in warmer weather which can help bring body temperatures down. 6. Never leave your pet in a parked car! Not even if you park in the shade or plan to be gone for only a few minutes. The temperature inside of a car can reach oven-like temperatures in just minutes, often in excess of 140 degrees. That quick errand can turn into a disaster and could be fatal for your pet. Any pet that cannot cool himself off is at risk for heat stroke, but some breeds and dogs with certain conditions are more susceptible. Heart disease, obesity, older age, or breathing problems put the dog at higher risk, and for these animals even normal activities in intense heat can be harmful. Dogs with shorter snouts – like Pugs or Bulldogs – have a harder time panting out their body heat, and certain breeds don’t tolerate the heat as well as others. This group includes English and French Bulldogs, Boxers, the Saint Bernard, Pugs, and Shih Tzu. 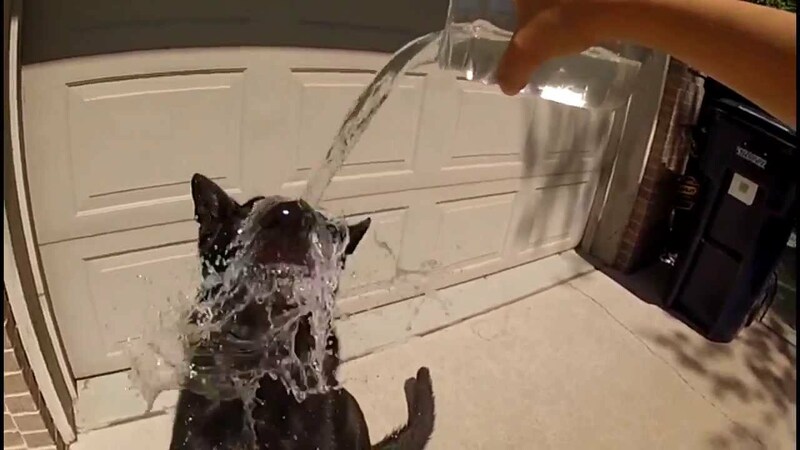 Well, there you have it folks, some great tips for keeping your pup cool in the summer; and if you bring your four legged friend with you to The Storage Inn, be sure to stop into the rental office for some ice cold spring water for both of you! Have a cool and happy summer!